In the market for a new Hatchback? The Renault Captur Hatchback could be a wise choice but how does it do up against Dacia & Suzuki? 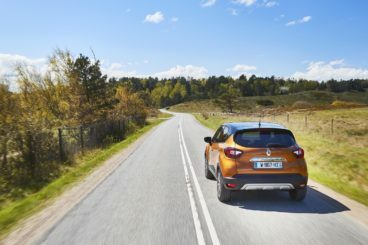 French styling, a surprising amount of usability and low running costs are all part of the package that makes the new Renault Captur Hatchback such an attractive choice. It’s based on the Clio, which means that if you love that car’s styling and drivability, you’ll probably fall in love with the Captur that adds more space and practical touches. The only thing that’s missing to make it a true road warrior is four-wheel-drive. Apart from that, if your family needs a compact and good-looking everyday car, this is well worth a place on your shortlist. OSV takes a closer look at what it’s all about with our 2017 Renault Captur Hatchback. The Captur isn’t what you could call entertaining, but it does its job competently. Moreover, its real abilities lie elsewhere. It doesn’t feel too dissimilar to the Renault Clio Hatchback, its lighting steering making it easy to negotiate tighter turns in the town. Out in the country, your confidence when approaching corners with enthusiasm might be undermined by the steering’s lack of feedback however. Body lean can also be excessive. Nissan has designed the car to be more comfortable than fun. Its supple suspension does a good job of smoothing out poorer road surfaces, but nasty potholes will be more noticeable. The fastest engine is the 1.2-litre TCe petrol unit that has a recorded 0-62 time of 9.9 seconds. This is if you stick to the manual ‘box; add the automatic, and the engine takes 10.6 seconds to complete the 0-62 dash. We recommend you stick to the manual. That said, a turbocharged 0.9-litre TCe petrol engine is our top pick. It probably sounds tiny, but those turbochargers help to give it some welly. It takes a leisurely 13.2 seconds to complete the 0-62 dash, but it does feel quicker. It suits the Captur’s easygoing nature too. After all, this is a compact crossover that doesn’t need a big, roaring engine under its bonnet. You’ve also got the option of a 1.5-litre dCi diesel engine that’s available in two separate power guises. The basic variant develops 89bhp, and does 0-62 in 13.1 seconds. Its real USP is its low economy – it returns 78.5mpg. The 110bhp variant is a bit more expensive, but can do 0-62 almost two seconds faster. Neither diesel is as comfortable as the petrols, and there will be some clatter. For high-mileage drivers, though, they make a lot of sense. The Captur looks sharp from the outside, but its interior is hit and miss. It’s super comfortable, and there are more soft-touch plastics than last time. Visibility is good thanks to a raised ride height, while an adjustable steering wheel and driver’s seat makes it easy to get into the right position. Renault also gives you the chance to personalise the interior and the exterior, something not many of its rivals do. There are a number of colours to choose from, and you can make the cabin as light or as dark as you wish. The dashboard has been improved, and looks a lot smarter than last time. Those aforementioned soft-touch plastics have raised the quality bar, and we like the two-tone covering. What ultimately lets the place down at times is that there are still harder, scratchier plastics here and there. Is the Renault Captur Hatchback practical? It’s based on the Clio, but is clearly bigger. As a result, it offers increased legroom, rear seats that slide back and forth, as well as a short bonnet that makes for easy parking. Upfront, the driver and passenger have plenty of room to get comfy, while storage areas are plentiful. You get a nifty cubby in your centre console, and the door pockets are pretty deep. Unfortunately, the UK models don’t get as big a glovebox as elsewhere. But hey ho. The boot measures 377-litres that can be extended to 455 by sliding the rear seats forward. Doing that will restrict rear legroom, of course. And if you add the optional spare wheel, you will lose a bit of boot space. Standard kit is decent, but the entry-level models miss out on a 7” multimedia screen and sat-nav. They get electric windows, a DAB radio, air conditioning, and cruise control. The Dynamique Nav models add the sat-nav and the 7” screen, while the Dynamique S range gets full LED headlights, folding door mirrors, reversing sensors and a MediaNav infotainment system. Unfortunately, this system isn’t compatible with Apple CarPlay. The Signature S Nav trim rounds things off with a Bose stereo and Nappa leather seats. In terms of safety, the signs are good. Euro NCAP awarded it 5/5 when it crash-tested the car, but it did score poorly for pedestrian protection. ISOFIX child seat mounts are standard, but blind-spot monitoring is only an option for entry-level models. Prices for the new car start out from £15,600 and rise to £24,000. If you prefer to lease, you can pick up a deal from £155 + VAT per month. For more information on our leasing deals, check out our page here. In terms of its running costs, the Captur is economical. The 1.5-litre dCi 90 model is the most frugal in the range, and can return over the 78mpg economy at best. It emits less than 100g/km of CO2, and has a 21% BiK rating. All models come with an Eco button which helps to keep costs down. As a result, even the thirstiest 1.2-litre TCe petrol model is able to average 51.4mpg. All models demand £140 a year to tax after the first year of ownership (during which the amount of tax you pay is in accordance with CO2 emissions), while the car sits between insurance groups 8 and 15 out of fifty. Based on the Clio, the Captur has been able to transfer its smaller siblings sense of style onto bigger dimensions. It’s spacious and comfortable, though overall cabin quality falls short of rivals. There are plenty of personalisation options available, allowing you to add trims that flaunt your own style. Compact SUVs are starting to outsell supermini’s, but the Captur lacks enough driver involvement to ever make it the number one choice. They’ll get you from A to B, but automatic engines without turbochargers are the ones we’d recommend you avoid because of a lack of oomph. Let’s see how the car fares against its rivals in the comparison section of our 2017 Renault Captur Hatchback review. 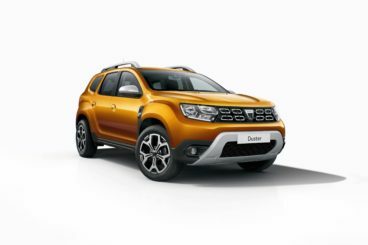 The new Dacia Duster is famed for offering a super amount of value for money. Or is that just a euphemism for bargain basement? In a word – no. This is a small SUV that packs a huge amount of quality into an affordable price tag. On the road, it doesn’t drive with as much sharpness as a hatchback, but its smooth ride means that it’s an excellent cruiser. Its suspension is soft, and thanks also to its large tyres, it’s able to cushion you nicely against poorer road surfaces. A turbocharged 1.2-litre petrol engine is also available with either two or four-wheel-drive, with both variants able to do 0-62mph almost a whole second faster than their 1.6-litre petrol equivalents. This engine develops up to 123bhp, doesn’t cost as much to run as the alternative petrol, but does cost more to buy in the first place. There is only one diesel engine available. It produces as much as 109bhp, which is on par with what the petrols can offer. It actually feels faster though, largely, because a lot of its power can be used at low speeds. Like the petrol engines, it’s available with either two or four-wheel-drive. Running costs? The basic 1.6-litre petrol engine isn’t exactly frugal, and returns 44.1mpg at best. The turbocharged 1.2-litre petrol fares a bit better, returning 46.3mpg, while the diesel is good for a 64.2mpg economy. Bear in mind that these are the quotes for the two-wheel-drive versions. Go for four-wheel-drive and fuel economy will slip – but not significantly. The Dacia Duster actually looks handsome on the outside. Inside, it’s a different story and the Duster is as basic as basic does. Whether you go for the entry-level model or the range-topping model, you’ll get the exact same fixtures and fittings, while the same low-rent plastics make up the dash. However, while the surfaces are not all that pleasing to touch, this is clearly a rugged, well-built car that’s designed to last – and we reckon that’s what families will love about it. It can’t be faulted for how practical it is either. Its boot measures an impressive 475-litres, which is hugely generous at this price point. You can fold the rear seats to increase it to 1,636-litres, which puts it on par with boots from models in the class above. Interior space is decent, visibility is outstanding, and there are storage areas here, there and everywhere. Value for money? There is no better car. 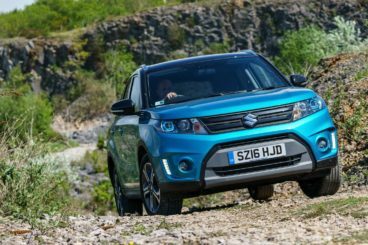 The new Suzuki Vitara is now an established name, and a must on everyone’s shortlist who is on the lookout for a well-equipped, sporty, sharp-looking SUV that comes with an affordable price tag. The way the new Vitara handles is just perfect. It’s easy to drive, thanks to light (if vaguely artificial) steering. It’s not as competent in the town as a city car, but that’s to be expected because of its extra weight. However, its hold-roading abilities are fantastic. There aren’t many engines to choose from, but all are a delight. A non-turbocharged 1.6-litre petrol engine is probably the one we’d overlook the most. It develops just 118bhp and can start to feel breathless on a full load. A turbocharged 1.4-litre petrol has more puff, develops up to 138bhp, and can get you from rest to 62mph in 10.2 seconds. It’s response, lively and suits the Vitara’s character. The sole diesel engine is sized 1.6-litres and doesn’t have any more power than the 1.6-litre petrol. However, it feels more able to keep going on a full load and feels faster. It’s available with two-wheel-drive, which helps it return over the 70mpg economy. The turbocharged 1.4-litre petrol engine is reasonably economical, and can return 52.3mpg, while the 1.6-litre petrol engine returns 51.3mpg if fitted with an automatic ‘box. The Suzuki Vitara’s interior has some good bits, as well as a few bits that let it down. Insulation is good, the build quality can’t be faulted, and we like the fact that the 7” touchscreen has such a chunky interface that you can operate it while wearing gloves. On the downside, there are a lot of hard plastics in the cabin which contrast unpleasantly with the few soft-touch plastics. You don’t mind that in the entry-level models, but even the range-topping trims get “treated” to this low-rent fare. Worse still is the diesel clatter, though most models are comfy. It’s a practical car, though. The light doors make access easy, the elevated ride height is good for visibility, and head and legroom is decent. The well-designed boot, meanwhile, measures 375-litres. That’s on par with the Renault but miles behind the Dacia. It comes with a wide opening and a few cubbies on both sides. It’s compact, looks great and is selling well. Being based on the Clio means Renault just had to add a bit more steal, more space and more usability. To that end, it’s a job well done. If you want a big a car that isn’t too big, the new Renault Captur is an excellent stop-gap between a city car and a bulky SUV.